Victory is always gratifying and acquires an even more delicious taste when it involves the defeat of a rival. 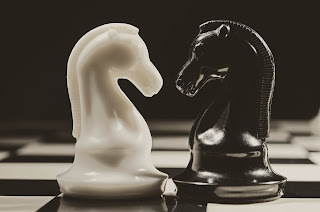 But new evidence published recently in the Journal of Personality and Social Psychology suggests that rivalries, as well as spurring us on, also promote a mindset that favours eagerness, even recklessness – a mindset that seeks to achieve a legacy for the history books, but carries a risk to our chances on the day. NYU psychologist Gavin Kilduff defines rivalry as a relationship characterised by repeated competitive encounters. It’s personal – the mirror image of a friendship, meaning "Yankees and Mets loathe each other" is a rivalry whereas "everyone hates Chelsea" is not. Kilduff’s work shows that repeated contact and geographical proximity encourage rivalries. In the present research from the University of Virginia, the authors Benjamin Converse and David Reinhard suggest this is because rivalries provide the opportunity for the competitors to develop an ongoing narrative, making each side’s rival an integral part of their own history and so, inevitably, part of their future. Initial surveys with sports fans showed this in action: games against a rival (as opposed to another talented team) were seen as having greater links to the past and future – in relation to these games, participants gave higher ratings to items like “it feels like the newest chapter in a longer narrative” and “has the potential to become part of the [my team’s] history.” This was also true of personal rivalries in domains such as sports or work: participants expressed a greater preoccupation with the future and "legacy" when contemplating competitors they had a longer history with. So rivalry involves looking at the bigger picture. We know from past research that this influences our behaviour: more distant, abstracted goals – in this case "how we will be remembered" – trigger a preference for making gains rather than focusing on avoiding losses. This means we would expect people to display eagerness over caution in rivalry situations. Converse and Reinhard explored this by surveying US women’s soccer fans shortly before their team competed in the 2015 World Cup final. America’s interest in soccer is recent but burgeoning, making for a green fanbase who don’t automatically know their team’s history. And it is quite a history, as half of the 144 participants were reminded: opponents Japan had beaten the US in a penalty shootout in the previous World Cup final in 2011, with the US partly avenged by beating Japan for Olympic gold the year after. Compared to the participants who were not reminded of these facts, participants who read about the rivalry showed a greater focus on riskier, more aggressive tactics, as shown by a greater amount of time spent examining a survey page showing an offensive formation (4-3-3) rather than the alternative defensive one. This was taken as sign that these participants favoured a more attacking approach from their team, supporting the idea that an ongoing rivalry encourages eagerness. Not just eagerness, but unwise eagerness. The next study of 200 recreational athletes asked them to prove themselves on a test of visual search ability, the instructions emphasising that the abilities required here were also crucial for sports. Participants had the chance to have a practice round to warm up before the main task but some decided to tackle the task cold. And they were more likely to do this if they were primed beforehand to think about their biggest rival. More than unwise eagerness, rivalry seems to promote error-full eagerness. A final study of fantasy sports league members tested performance on the Cognitive Reflection Test, where snap judgments are likely to lead you to the wrong answer – try: “If it takes 5 machines 5 minutes to make 5 widgets, how long would it take 100 machines to make 100 widgets?” Good performance requires a cautious approach, but participants who considered a rival beforehand were more likely to make errors. Research by Kilduff and others have shown that rivalry can have benefits for the competition at hand, such as by enhancing motivation. Here we see the flip side: the possibility of over-extension in search of the great win, all in the hope of writing the greatest chapter of the ongoing story.